Following our news item on this year’s Beaulieu Autojumble, here’s the first in a short series of items on curiosities or rarities seen at the event. We found this one in the car park, even before we bought any tickets. It’s a rare Ford CX from 1936. The CX was the luxury version of the Model C – distinguishable by its chrome trim. 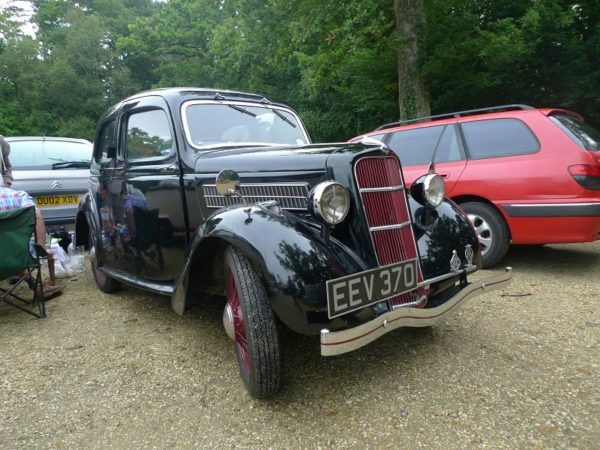 The owner informed us that it was not a great success in Ford terms because it did away with running boards. Customers were not ready for such advanced concepts, and the Model C’s successor, the 7W, brought running boards back. The owner also made it clear that he had not had this car long – only 53 years!